Escape Room Which city has 3/7 of a chicken, 2/3 of a cat and half of a goat? Answers for Escape Room Which city has 3/7 of a chicken, 2/3 of a cat and half of a goat? – there’s a puzzle paper with riddle on floor ! if you’re out of coins to solve this level then look at the clue below for the solution how to solve the puzzle questions ! hint 1 : This is a famous city in the Midwest of the United States. hint 2 : Break down each word. The most innovative ever escape game with puzzle experience, You must not miss it! Locked up in a strange room, you need constantly observe, think, guess, inference, until escape. Simple, easy rules, type the correct word to win a game! Are you ready for the thrilling experience with lots of drama and adventures? Hey there, Smary Pants! Get ready to challenge your brain! Let’s see how many riddles you can solve and how many doors you can unlock. Only 5% can pass level 21! DOWNLOAD now to begin your escape adventure! 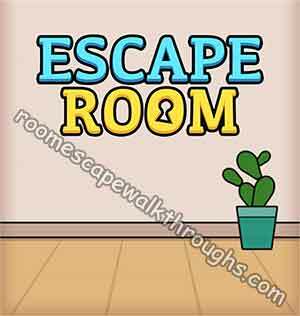 This entry was posted in Escape Room Mystery Word and tagged Escape Room Mystery Word Level 7 on November 21, 2018 by 100doorssolution.